In this blog post, I cover the Himachal Heritage Village in Palampur, Himachal Pradesh. For the uninitiated, Palampur is a picturesque hill station in Himachal Pradesh, India, which offers a unique opportunity for travelers like me to experience the natural beauty of the snow-capped Dhauladhar range. Palampur is also known for offering off the beaten path trails and outdoor adventures that are hard to find anywhere else. Even though Palampur is promoted as a preferred trekking destination, these days it is garnering praise for popularizing adventure activities. My last visit to Palampur goes back to April 2016. I was invited to stay at the Himachal Heritage Village, a cluster of four unique cottages built in authentic Himalayan style, with each cottage having its own characteristic theme and architecture. 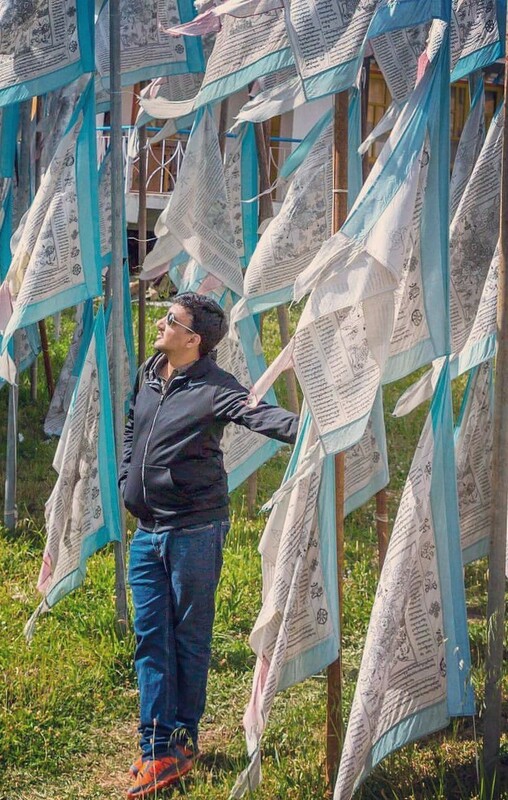 The property promotes sustainable and eco-tourism and offers insight into the Himalayan way of living, allowing you to better understand the village life in this part of the world. During my stay at the Himachal Heritage Village in Palampur, what touched me the most was the kindness and hospitality of the Himachali people. 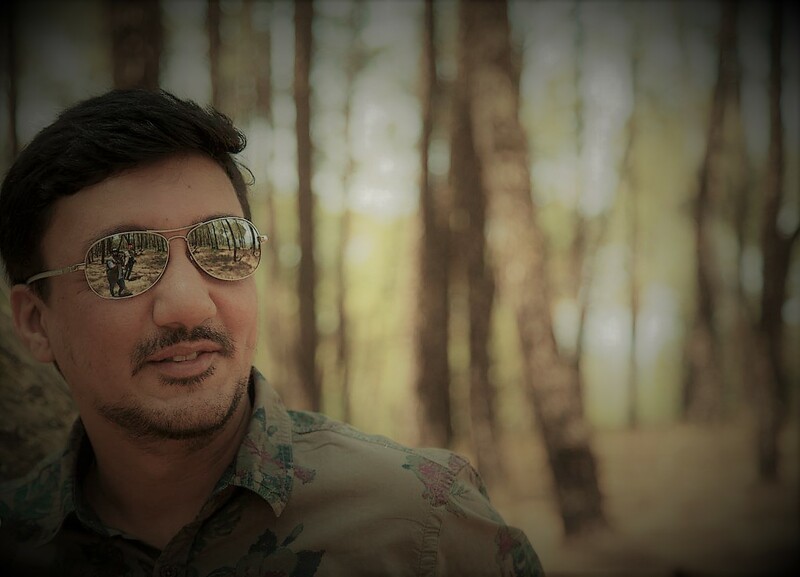 The owners of the property, Hemraj Dogra and Gagan Sharma, in particular, left no stone unturned to make sure I felt at ease and enjoyed every bit of my time in Palampur. Still have vivid memories of that one evening at Himachal Heritage Village, when I had tasted Palampur's local cuisine for dinner. All guests, including yours truly, were requested to remove shoes outside, enter the dining area and sit on the floor. Delicious Himalayan food like Khatta Maas was then served on Pattal, a plate made up of leaves ... Can't remember the last time I had so much fun eating with hands … And to say that it was 'fantastic' would be such an understatement! My two-day itinerary was curated to include local sightseeing and visit places of tourist attraction such as Baijnath Temple, Bhatu Monastery (a.k.a. Sherabling), popular Kangra toy train, and famous tea garden and factory, among others. 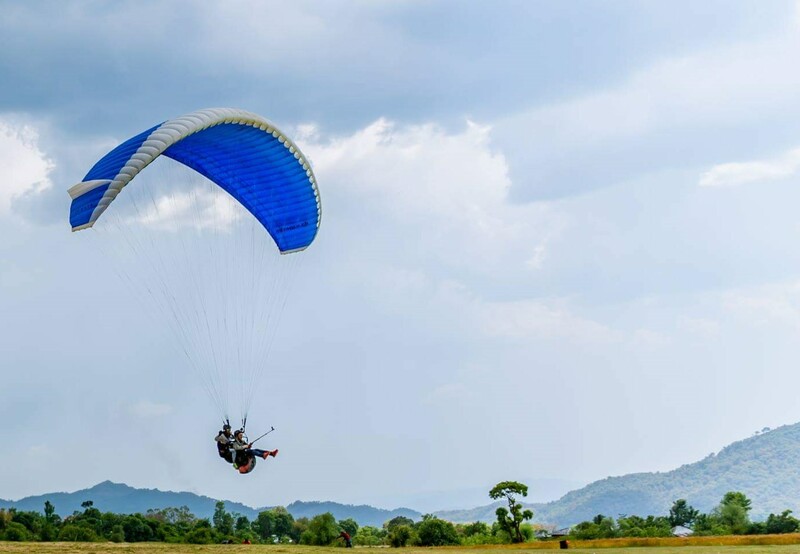 I literally sailed through the sky, experiencing paragliding for the first time at Bir Billing. As someone who has lived in a metropolis for a vast majority of his life, I have at times felt buried in the rubble; so coming to Himachal Heritage Village in Palampur was very comforting. I was also in complete awe of the Himalayan arts and culture, handicrafts in particular. Set against the lovely backdrop of the Dhauladhar range (a.k.a. The White Range) and surrounded by dense pine and Deodar forests, the Himachal Heritage Village in Palampur offers four cottages and seven rooms in all. 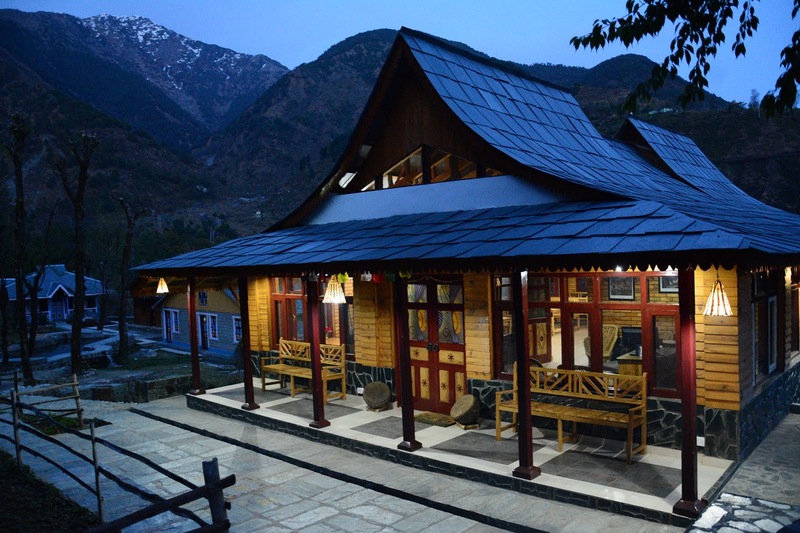 Every cottage is named after a famous region in Himachal Pradesh, with its own characteristic theme and architecture. The dining area is built separately for guests and resembles a house you’d typically see in the Kinnaur district of Himachal Pradesh. This cottage, which was my abode for one night, is named after one of the most popular districts of Himachal Pradesh, known nationwide for its temple Mata Chintapurni Mandir. I chose to stay in this cottage because it’s built with sun-dried mud bricks. You heard it; no cement was used whatsoever! The Una cottage has two floors with one room each and an attached bathroom. To prevent water from seeping in during the peak rainy season, the roof is constructed with special grass, layered with bamboos. A traditional wood fire ‘chullah’ is also provided to provide guests a sneak peek into the life of Una people. Stay in this cozy lil mud house with beautifully carved windows, glass enclosed shower, mud flooring, etc. Did you know that Kangra is the most populous district of the Indian state of Himachal Pradesh? This district has the highest number of villages (3,869) among the 12 districts of the state. The Kangra cottage is unarguably the largest at Himachal Heritage Village. With three bedrooms and attached living room and bathroom, this seemed ideal for small families. As the name suggests, the construction of the cottage was typical Kangra style, including its doors, windows, etc. Barot is also a tourist location in Mandi district of Himachal Pradesh. If you’re looking for spending time with yourself, seeking solitude, this is the cottage you should be aiming for! The Barot cottage offers a single bedroom with wood paneling, both inside and outside the cottage. I loved the earthy look and feel of this cottage. It is not surprising that most tourists would prefer to stay in this cottage, named after a suburb of Dharamshala town situated in the foothills of Dhauladhar mountains in Kangra district of Himachal Pradesh. 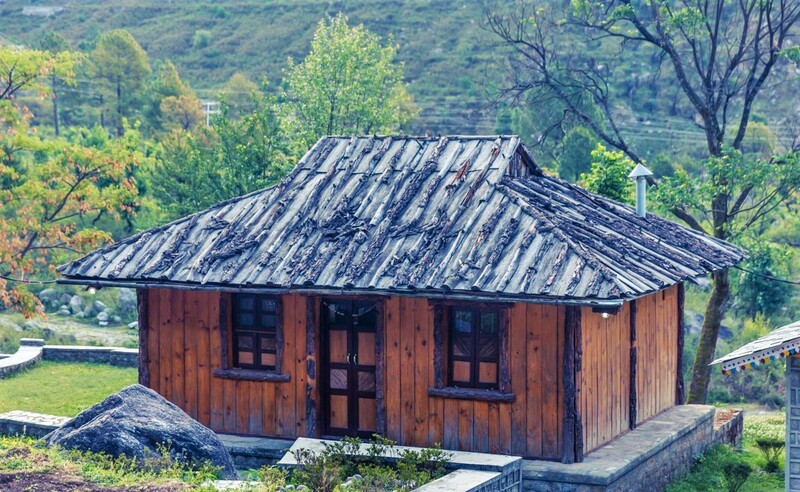 The most beautiful cottage at Himachal Heritage Village, this one is made of slate, a variety of stone found in Khaniyara only. The way the stones were stacked against each other was a visual sight. Also, no cement was used during the construction of this one bedroom cottage. You wouldn’t want to step out of the bathroom in Khaniyara cottage. Super luxurious, it even has a cascading waterfall inside! 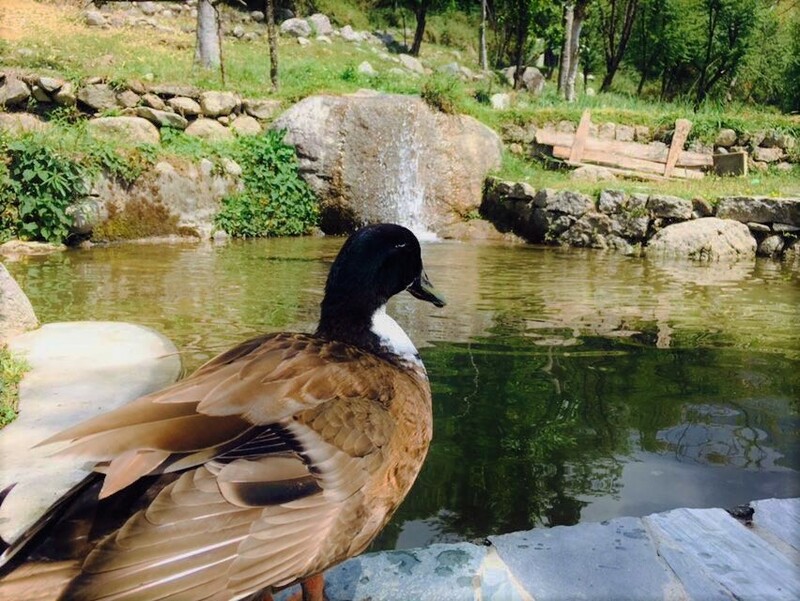 I am returning to Palampur again, this time on another adventure to explore the tea gardens, the waterfalls, the nature park, the birdlife, the forest trails, and all that Palampur has to offer!